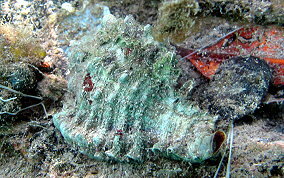 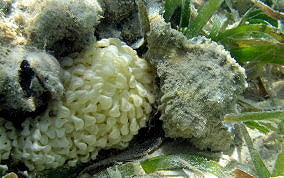 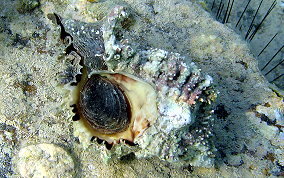 These snails have distinctively rough and wrinkled shells with rows of spikes, often very worn down. 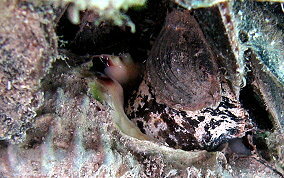 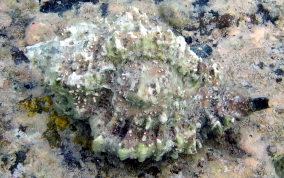 The snail itself is cream colored with black blotches. 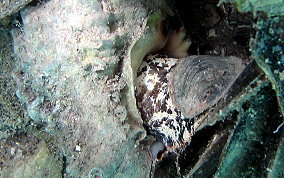 Most of these snails observed are 2-4 inches in length. 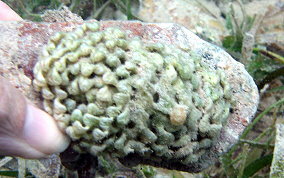 Found at depth of 2 feet or more. 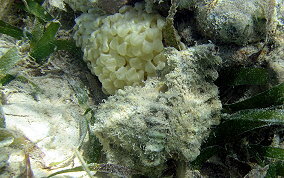 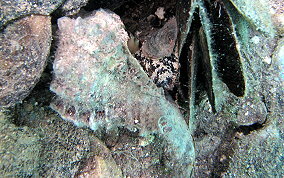 They lay eggs as seen in the bottom row of pictures.